Red urchin. Image courtesy of Ed Bierman. 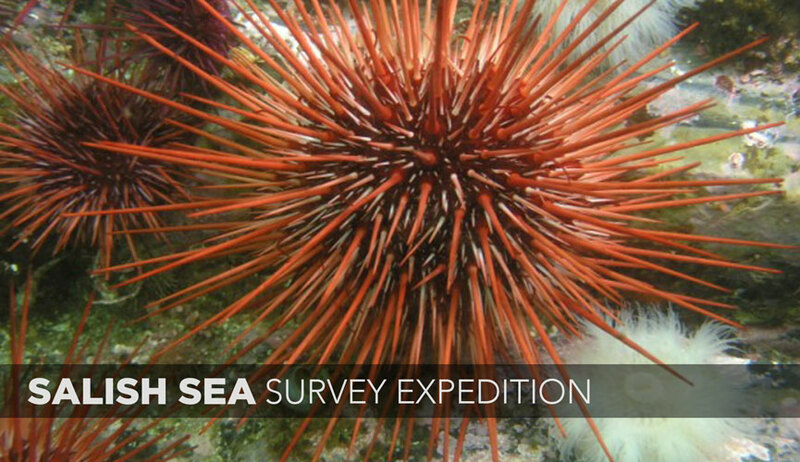 What do red urchins, Pacific sand lances and scientific trawling of the seafloor have in common? All three exist at depths beyond the reach of even the most skilled scuba divers, making direct observation by scientists and researchers very difficult. Fortunately, as part of an annual competitive grant program the SeaDoc Society funded three research projects, and with the help of the OceanGate Foundation, teams of up to five individuals, including the submersible pilot, had an opportunity to observe the feeding strategies of deep sea red urchins, the sand wave habitat of Pacific sand lances and the potential impacts of scientific trawling on the ecosystem. SeaDoc Science Director, Joe Gaydos. 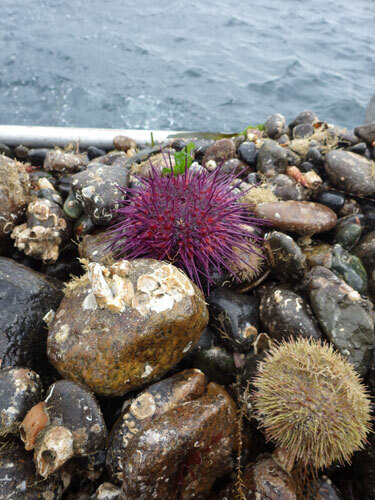 Deep-dwelling red urchins: how do they survive without immediate access to their food source? Kelp depends on sunlight for survival, but it’s also the main food source for red urchins, which can live to be 150 years old. This study explored how these deep-dwelling urchins manage to feed at such depths, with a specific eye toward the role played by drift kelp, which urchins can grab with their long spines as it floats by. On these dives, red urchins were seen and photographed at a depth of 284 meters, more than double the depth previously observed. 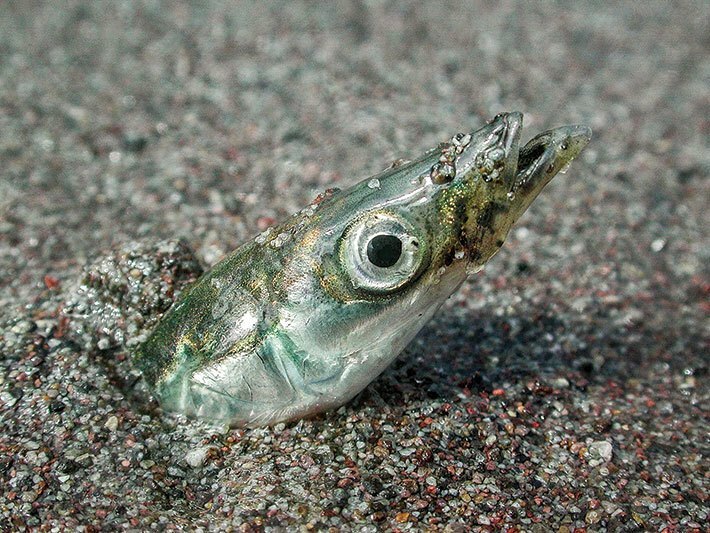 Sand lance are a small forage fish that play a crucial role in the food chain by converting plankton to fat that other fish, birds and mammals can access. They don’t have a swim bladder, which means they can’t stabilize themselves in the water column. They’re known for plunging their bodies into waves of sand at the seafloor as a mechanism for hiding out or resting. They do this year round, but it’s most common in the winter. Beyond those basics, little is known about how they use this unique habitat. 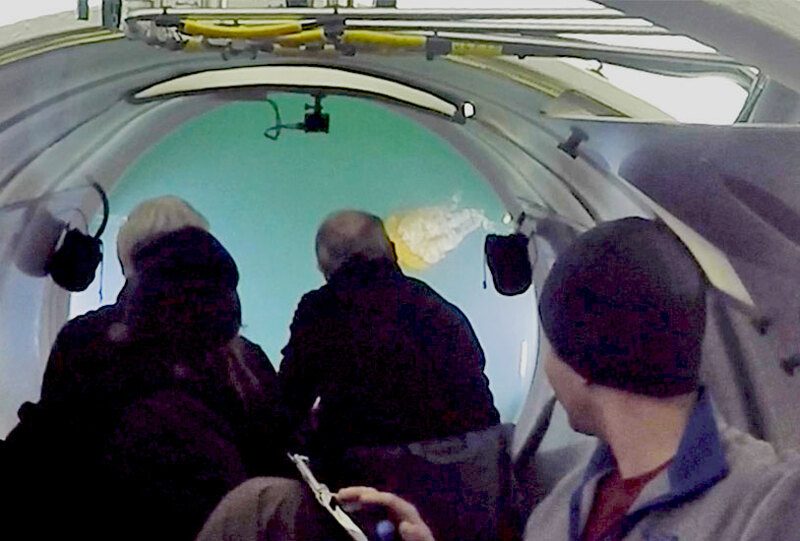 The sub gave our scientists a front-row seat of these rolling sand waves, with real-time discussion inside the sub and peripheral vision to document a far wider range than the camera alone could document. Researchers tested several existing hypotheses about this important species, like which part of the sand waves are preferred for burrowing, how they are affected by noise, and their behavior related to predation. “To say that the collaborative efforts with so many individuals met the mark and went smoothly does not begin to capture the results of the mission. It was an outstanding effort that surpassed goals and exceeded expectations while working through the operational, technical and logistical challenges that are inherent with complex missions. Failure in the maritime environment and especially sub-surface operations can have drastic consequences, the attention to detail that each of you provided for mission planning, risk assessment and mitigation, along with your communications protocols were essential for every day and each dive”. What are the long-term impacts of scientific trawling on the seafloor? The submersible ran transects in areas that have been trawled for scientific purposes up to 10 times per year for the past 30 years. Through observation and video documentation, the researchers compared trawled sites to adjacent un-trawled areas. 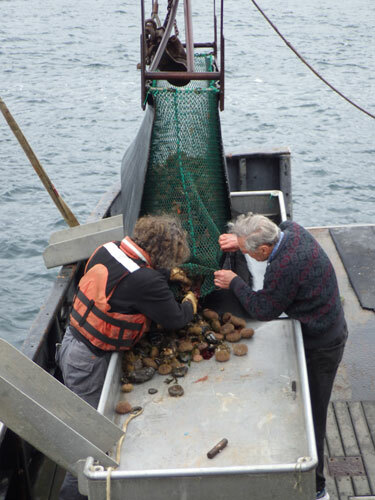 As with all SeaDoc-funded science, they will make the resulting data available for public consumption with the goal of informing future policy decisions related to the effects of scientific trawling. 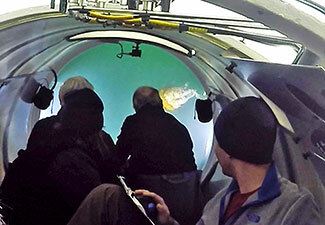 Salish Sea Survey Expedition video. Cyclops-class submersibles have a capacity of 5 crew (pilot not shown).